Hello from Texas, dear Poppytalk friends! I hope your November is wrapping up nicely. Did you do any shopping over Black Friday / Cyber Monday? 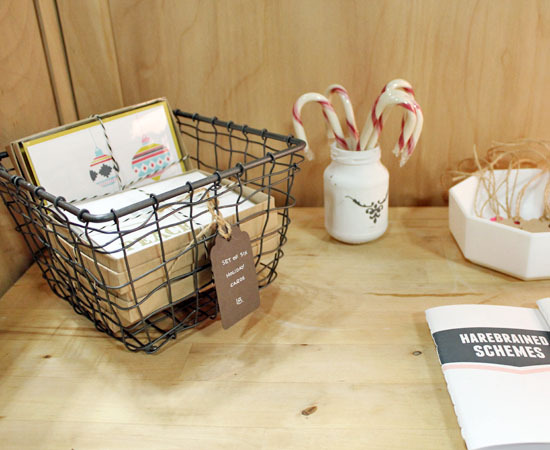 Here in Austin, we welcomed our friends from Renegade Craft Fair to town for the second annual RCF Holiday Market. Over 100 artists came together to showcase their best work. 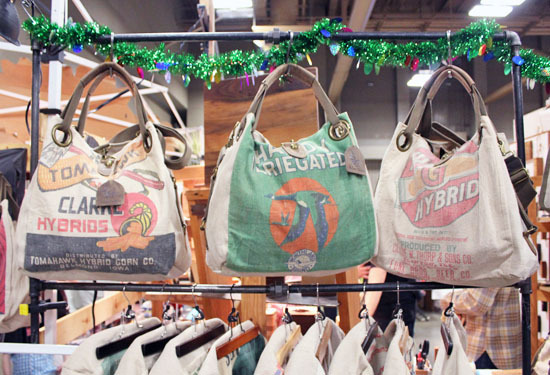 Renegade is always great fun as well as great shopping. 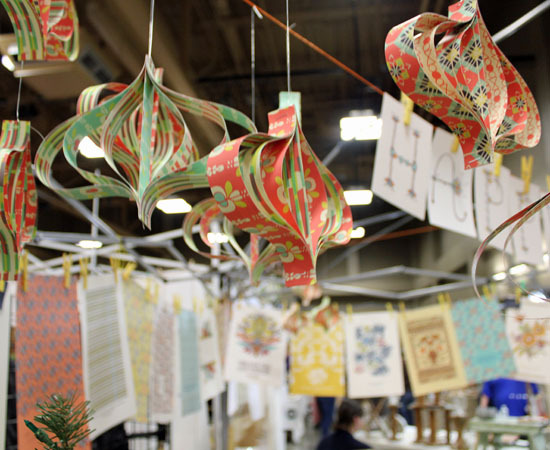 This year was no exception - and I'm excited to tell you that Fair Morning Blue participated as a vendor at Renegade for the first time - yay! I snuck away from my booth for a bit to meet the other artists and snap some photos for you. 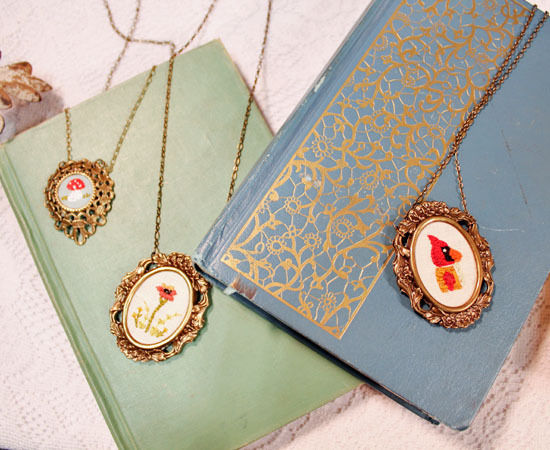 Pictured above, delicate hand embroidered necklaces by Austin's own Poppy and Fern. 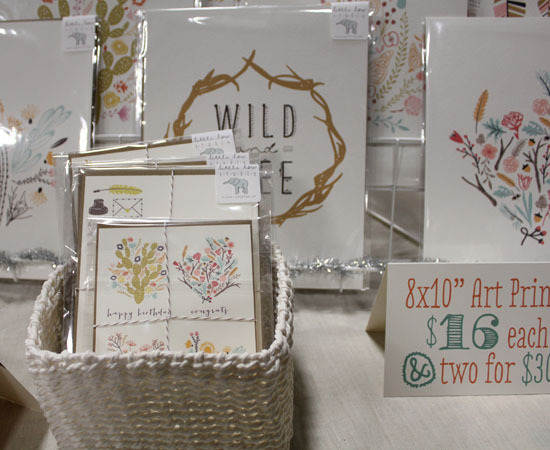 I just love these whimsical prints from Little Things Studio. The patterns, the colors, the inspirational messages - they just make me happy. 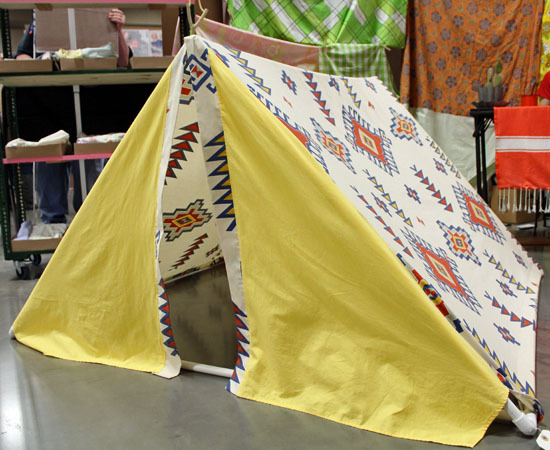 Check out these Campsite #5 indoor tents made from upcycled bedsheets. My mind goes immediately to my little daughters - and how delighted they would be to discover one of these tents under the tree on Christmas morning. But then, I think how I myself would like to crawl into one of these for a bit - just to think, rest, hide out. Should I admit that?! It was difficult to drag myself away from these vintage seed sack handbags from Selina Vaughan Studios. Handmade from vintage seed sacks from the '40s and '50s, each one is different. 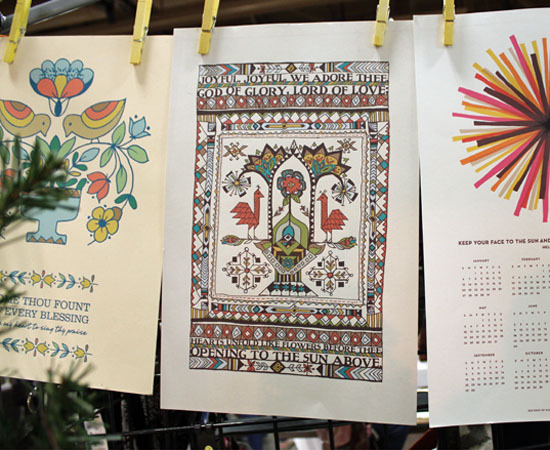 Are you familiar with the work of Austin illustrator and graphic designer Caitlin McClain? I was completely floored when I walked into Caitlin's booth - so much talent! 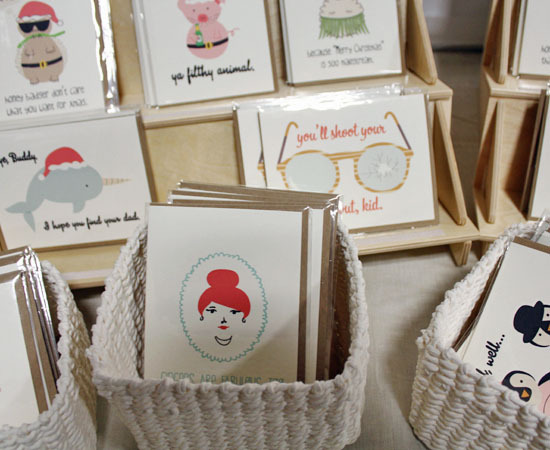 Caitlin has two separate lines of merchandise - Feb 10 Design (pictured above) is filled with humor and lots of adorably cute animals. Little Low Studio (below) focuses more on botanical- and western-themes, but is equally bright and whimsical. 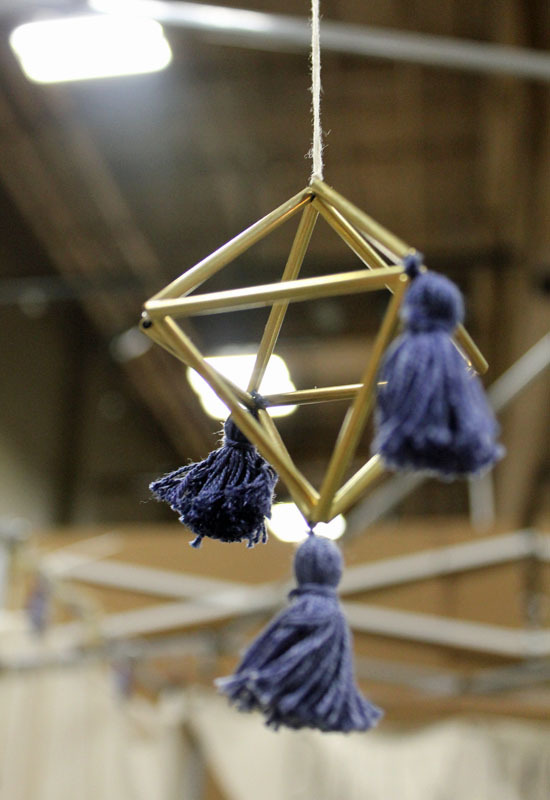 I adore these handmade brass himmeli ornaments with hand dyed tassels from Rally Made. 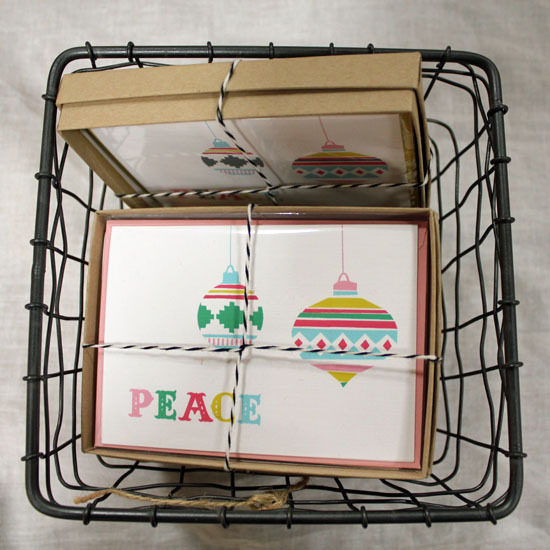 And - here's a snapshot of my own display and Peace holiday cards. I feel grateful to be a part of such a kind and creative community. It was so much fun making new friends, talking with other artists and shoppers, listening to the great music from Waterloo Records' DJs. Thank you for another great fair, Renegade - see you next spring! Tracy Castro is a native Texan and the artist behind Fair Morning Blue. Find Tracy on her blog, facebook, twitter, and pinterest. What a great review of a terrific fair. I'm biased for Feb 10 because I'm the Mom, but the entire fair was fabulous. Renegade does such a great job of recruiting amazing talent.